3 Cuando era pequeño/a....- when I was little…. 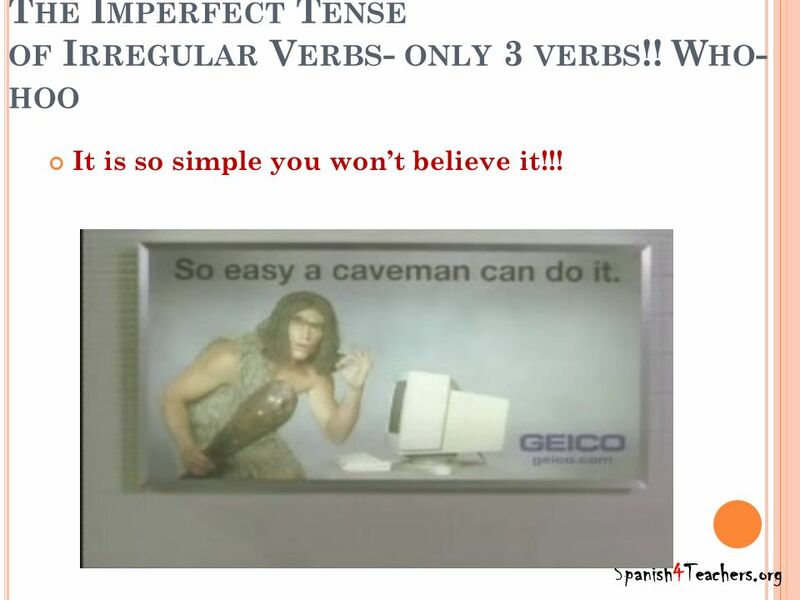 Objective: To be able to reminisce about your childhood using the imperfect tense! 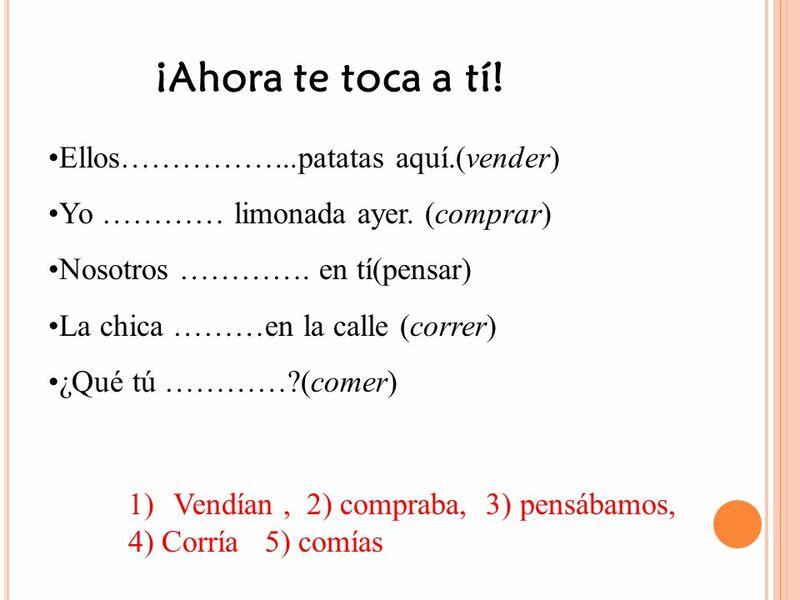 Cuando era pequeño/a....- when I was little…. 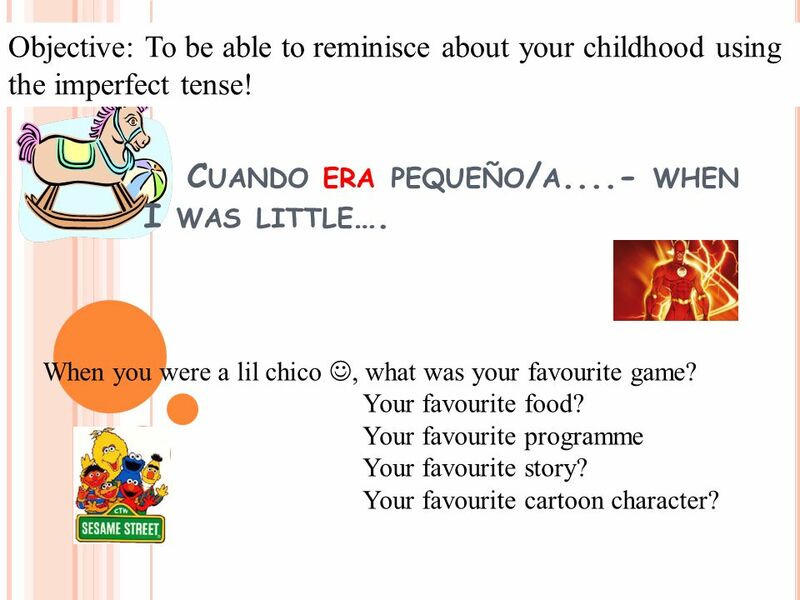 When you were a lil chico , what was your favourite game? Your favourite food? Your favourite programme Your favourite story? Your favourite cartoon character? 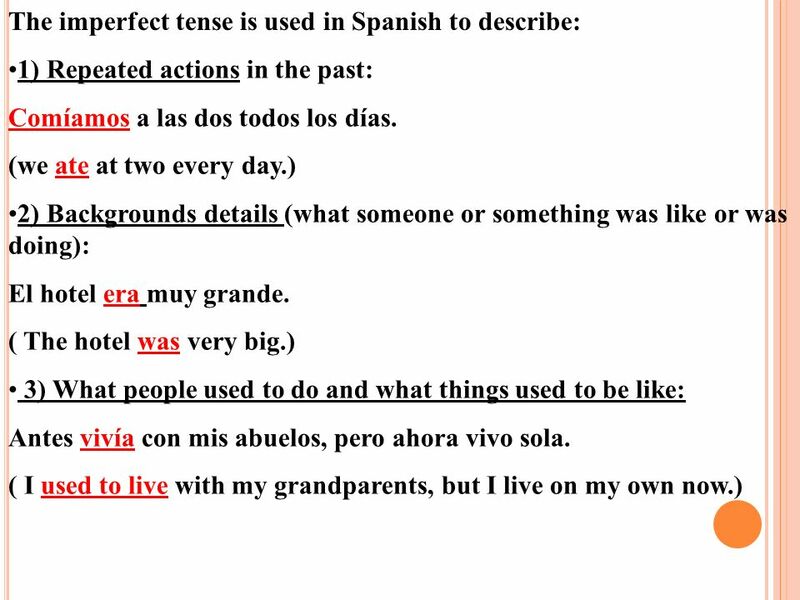 5 The imperfect tense Look at the following 3 sentences. 11 Yo compraba KFC pero ahora compro Mc Donalds. 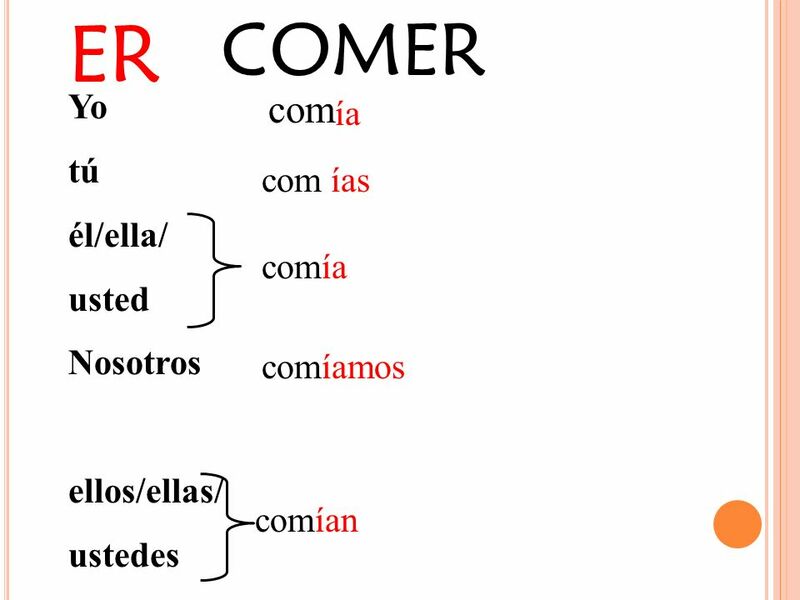 Examples Yo compraba KFC pero ahora compro Mc Donalds. Nosotros trabajábamos en Movietowne. 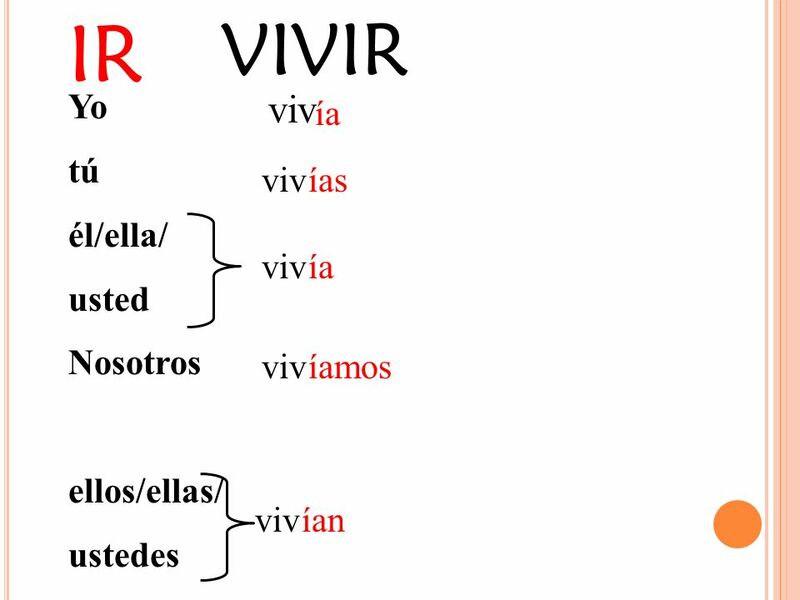 Tú creías en los fantasmas y los vampiros. 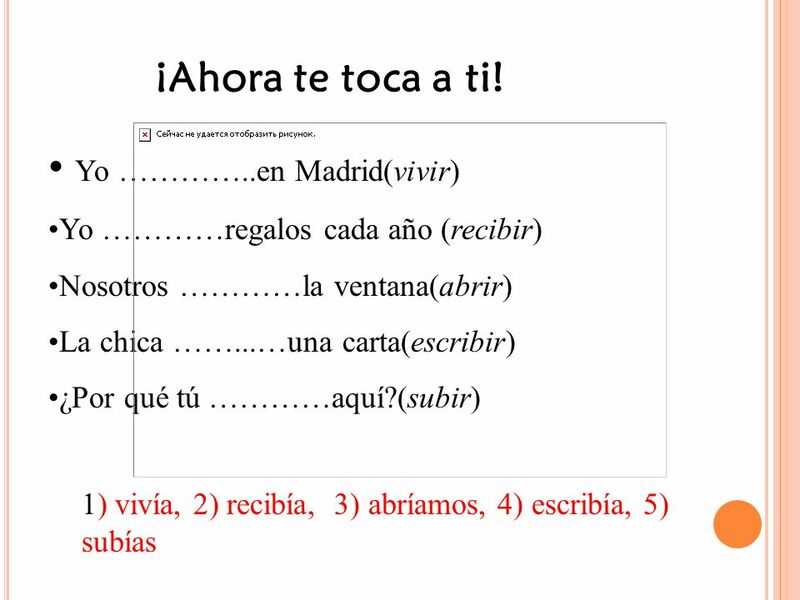 12 ¡Ahora te toca a ti! 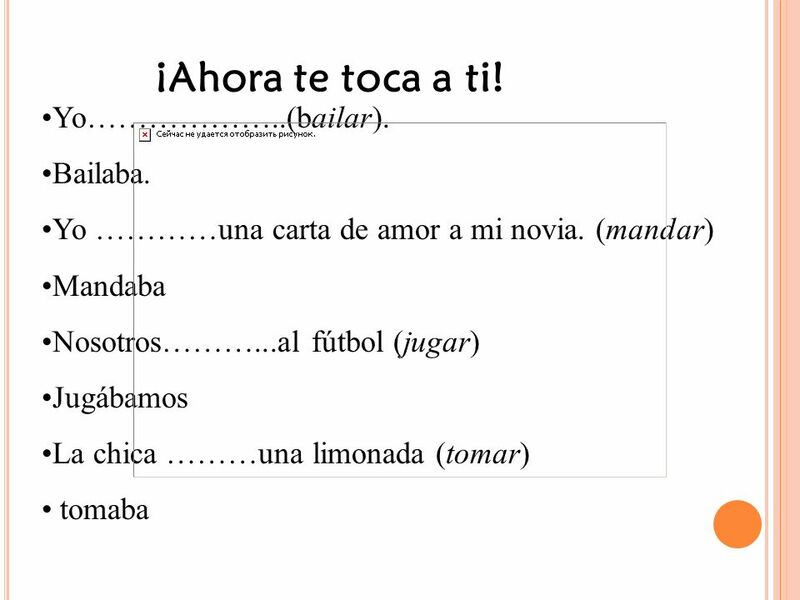 Yo………………..(bailar). 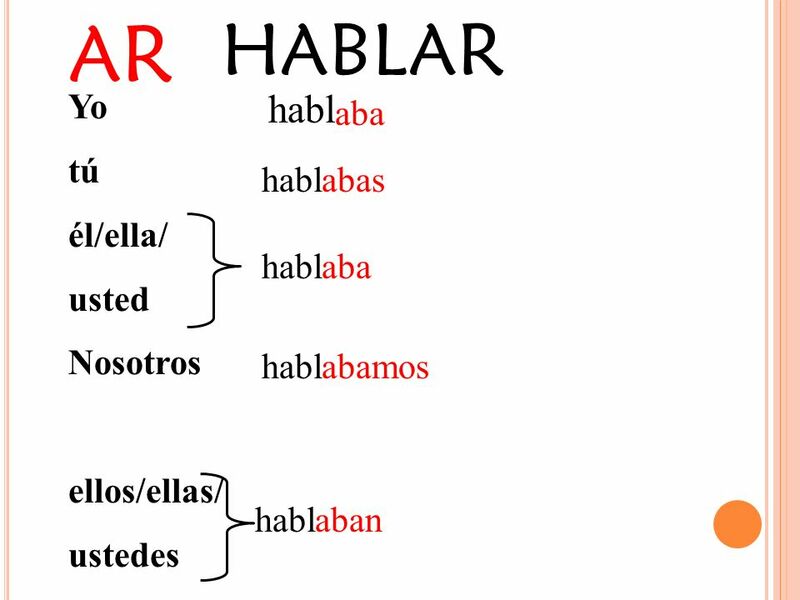 Bailaba. 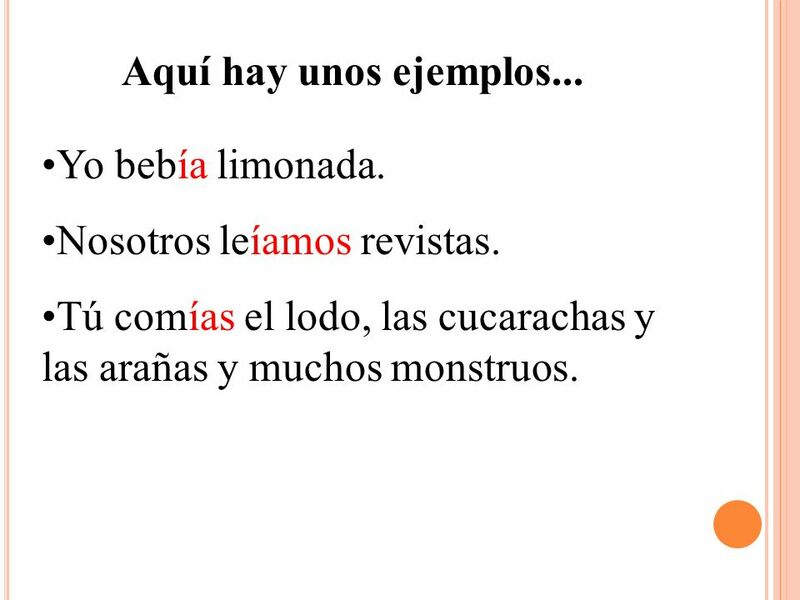 14 Aquí hay unos ejemplos... Yo bebía limonada. Nosotros leíamos revistas. 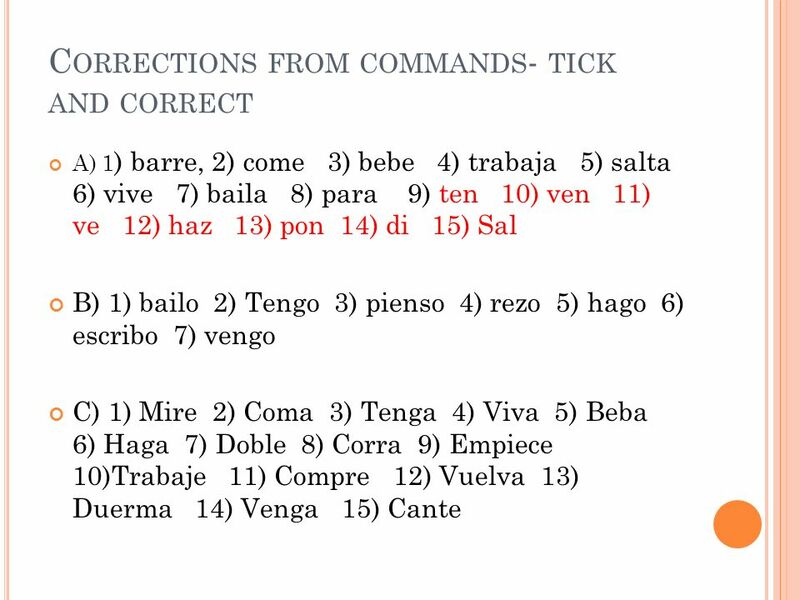 Tú comías el lodo, las cucarachas y las arañas y muchos monstruos. 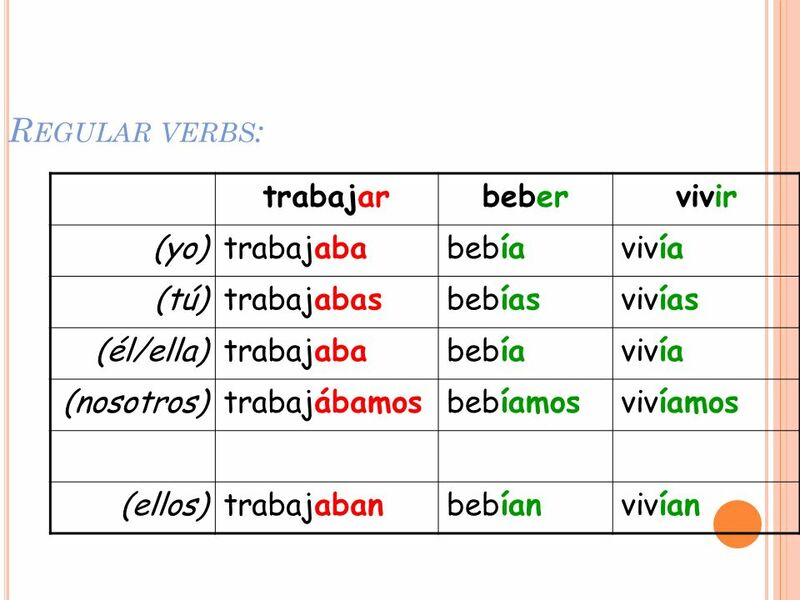 19 Activity: Using the verbs that you wrote down for the Starter, make a sentence with each saying what you or another person used to do. 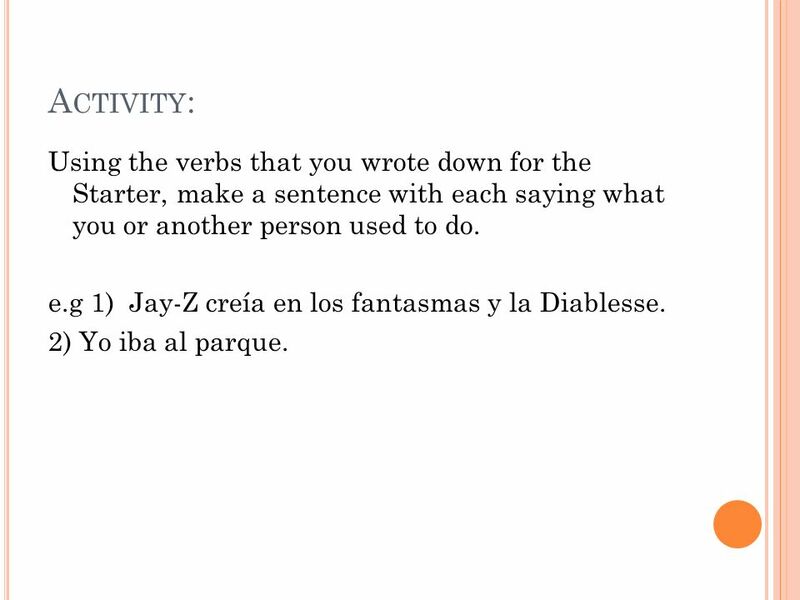 e.g 1) Jay-Z creía en los fantasmas y la Diablesse. 2) Yo iba al parque. 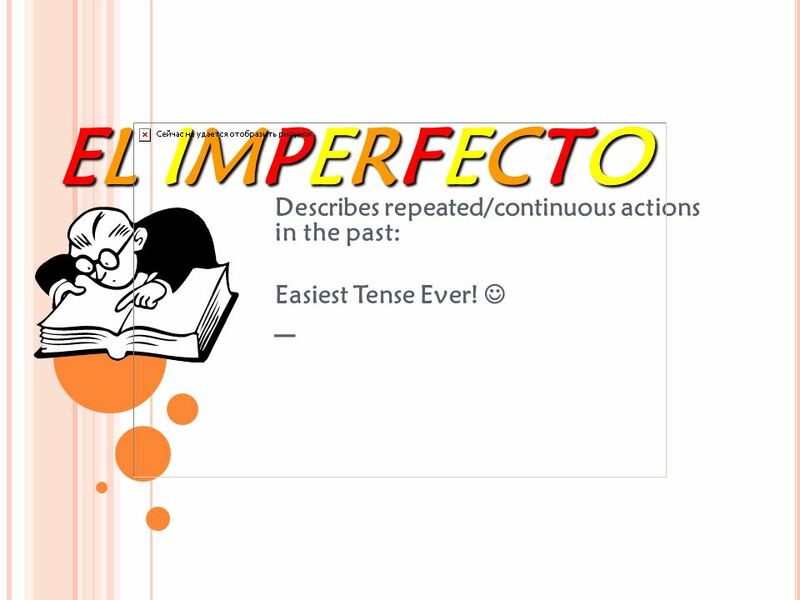 Descargar ppt "EL IMPERFECTO – Describes repeated/continuous actions in the past:"
El Imperfecto. 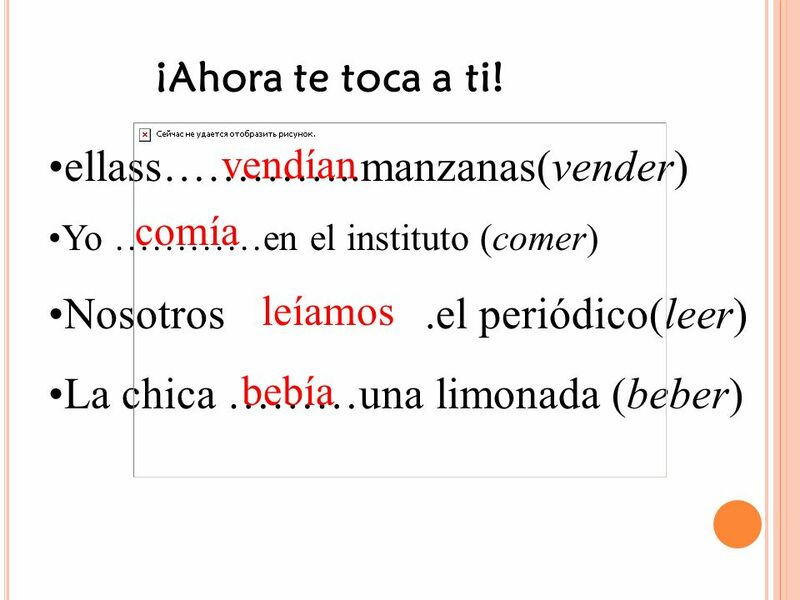 Youve already learned to use the preterite tense to talk about completed actions in the past. Now youll review another past tense called. 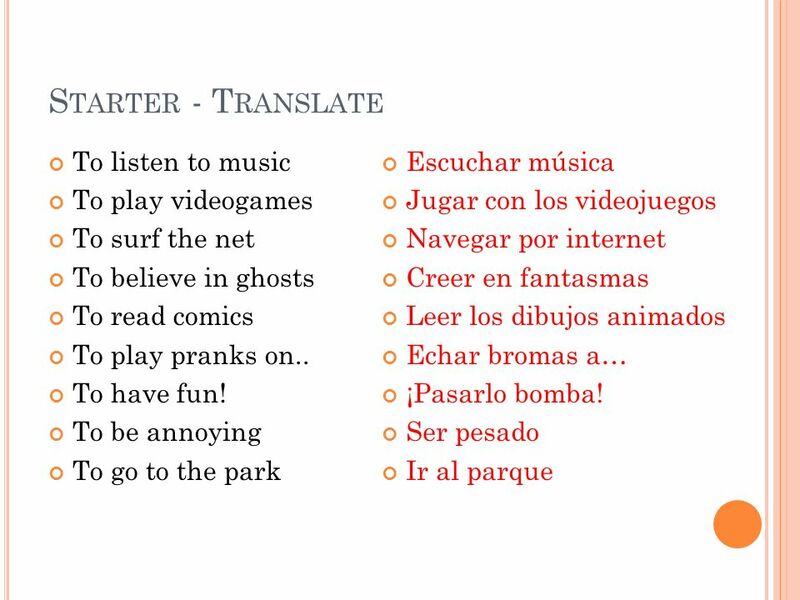 Objective: To be able to reminisce about your childhood using the imperfect tense! Cuando era pequeño/a.... When you were 4, what was your favourite game? actions, events, people, places of the past. 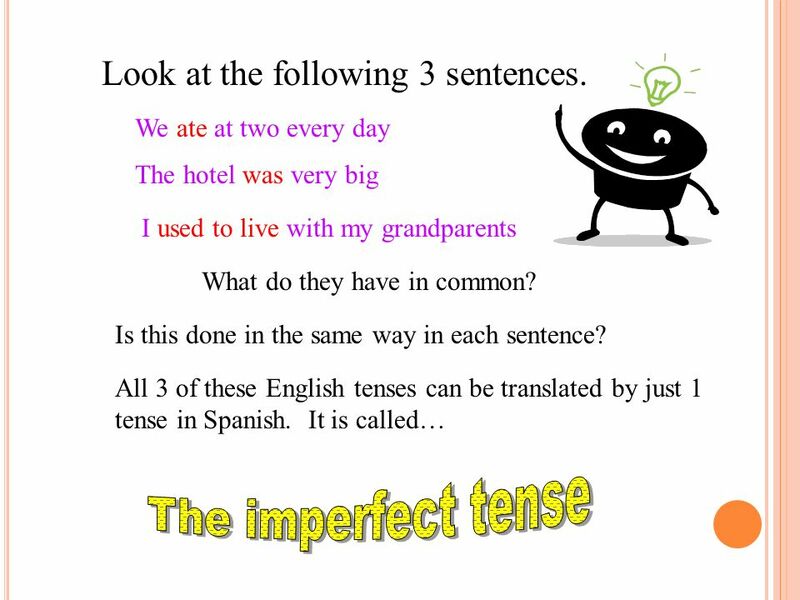 What is the Imperfect? 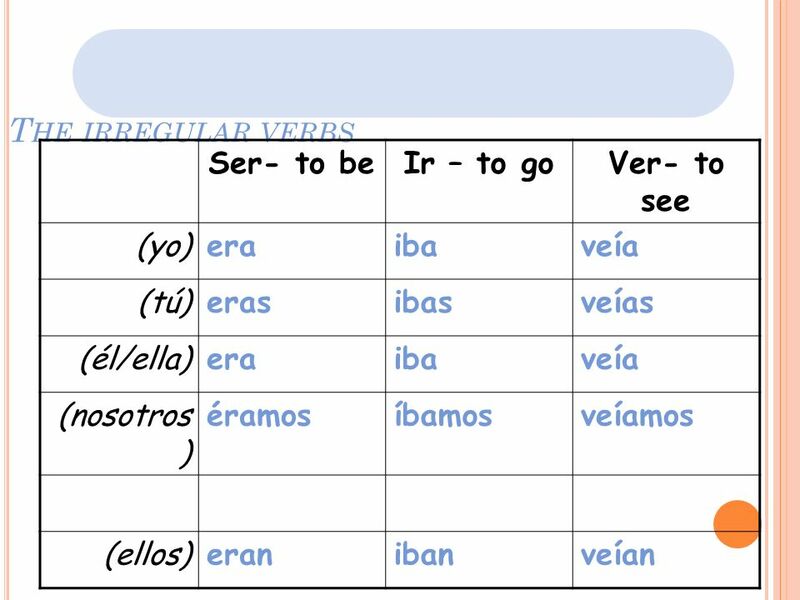 The imperfect is a form of the past tense that is used when an action: – Used to happen – Happened repeatedly or habitually – Happened.